Cortina is the Queen of the Dolomites and easily Italy’s most glamorous and fashionable ski resort. 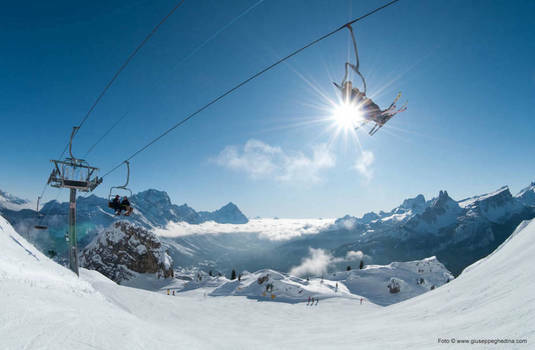 Part of the Dolomiti Superski area, Cortina boasts access to nearly 1000km of downhill skiing (978km) with over 660 individual pistes served by 573 ski lifts. There really is something for everyone here! Intermediate skiers will be in their element in the Dolomiti Superski with the widest choice of runs open to them, including an impressive 3.7 mile long descent. Cortina is not really a ski resort as we know them. Rather it is an attractive, sprawling small town located at an altitude of 1,220m, surrounded by impressive peaks and about half a dozen more or less separate ski areas. Much favoured by rich weekend visitors from Rome and Milan, many of whom have second homes here, this is a stylish and fashion-conscious destination that is Italy's answer to St Moritz, Courchevel 1850 and Aspen. It may not have quite the same range and quality of ski terrain as its international competitors, but it has a stylish ambience that none of them can match. This is a gloriously and uncompromisingly Italian destination, the perfect place for a luxurious ski holiday. You see far more fur coats than ski suits in the Corso Italia, Cortina’s main street, which is at its most packed and exciting during the early evening Passeggiata around seven o’clock. You may have to struggle to find a ski shop, but there are plenty of boutiques selling designer clothes and yet more fur coats. 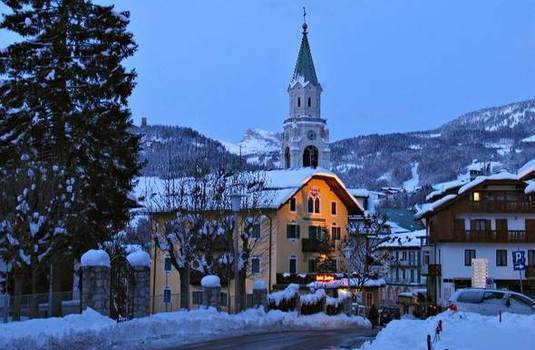 Food and drink play an equally important part in Cortina’s splendid nightlife. There are some wonderful little wine-bars for aperitivi, masses of good restaurants (including Michelin-starred ones) and several lively nightclubs and discos that keep going until nearly dawn in peak season and at weekends.